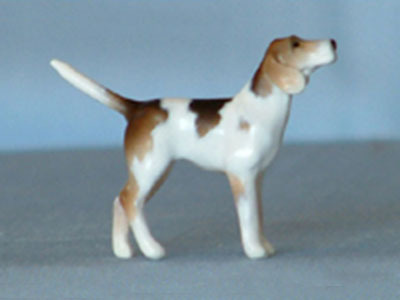 Prince, lying Saluki Dog, sculpted by Tina Johnson is Stablemate scale. 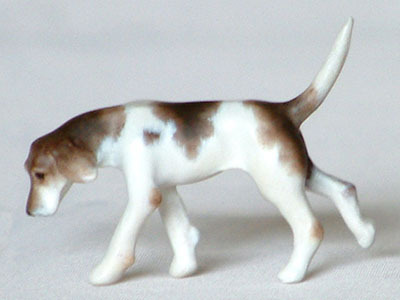 He measures 0.75 inches (1.9 cm) to the top of his head and 2.0 inches (5.1 cm) in length from tip of front paw to end of his tail. 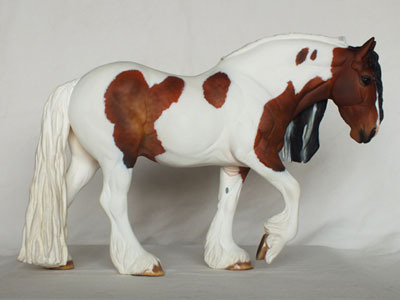 He is cast in pewter for strength and this sands and paints just as easy as resin. 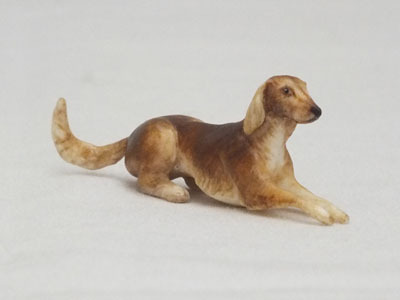 This little guy has so much detail he would look fabulous in those Arabian performance set ups, or if you love Salukis and dogs, then he would love to come and live with you!